A proprietary and “Patent Pending” ceramic material that is used to create a highly efficient radiant barrier when added to ordinary paints. Since the introduction of Insuladd® to the paint industry in 1996 there have been quite a number of "ceramic" additives and paints to hit the marketplace. All of these products are simply based on adding standard microspheres to the paint or selling these inexpensive microspheres alone as "an insulating additive for paint". No one manufacturers a product like Insuladd® which works inside as well as outside. Competitors always show white paint and their "microspheres" on exterior applications! If their products truly worked as insulating paint they would show interior results for their products as we do! Another common misconception promoted by our competitors is that this that the ceramic insulating technology of their products comes from NASA and the U.S. Space program. Insuladd® was developed by Tech Traders Inc. through their participation in NASA's technology exchange program in 1995. Insuladd® is unique, patented technology not possessed by our competitors who's "off the shelf" technology falls far short of the thermal performance of our products. Insuladd® was developed via the NASA technology exchange program. (We can prove it!) Insuladd® ceramic paint additive has withstood the rigors of the most extreme and demanding conditions including applications on a U.S. Navy Arctic Research Vessel, oil storage tanks in the Middle East, Metal shipping containers, factories and warehouses. Insuladd® has again and again proven to be able to save users as much as 40% off their normal heating and cooling costs! Insuladd® has huge implications for the oil & gas industries as well as for cryogenic storage facilities. The substantial reduction in evaporative loss from tanks painted with Insuladd® has given return on investment year after year. A cryogenic liquid oxygen tank painted by Linde Gas showed substantial evaporative loss reduction from the tank to the degree that the cost of painting the tank with Insuladd® was recovered in less than 4 months. Data shows that petrochemical tanks painted with Insuladd® have 20%+ less evaporative loss than identical tanks painted with glossy white or silver paint! The most substantial difference found in Insuladd® products over competitors products is the proven substantial reduction in flux or heat flow through paint containing Insuladd®. Data and exterior building applications show a reduction in heat flux through paint containing Insuladd® measured in BTU's of nearly 50% when compared to that of competitors glossy white paint products! Interior building applications of Insuladd® show heat flux reductions (heat loss and heat gain) that amount to energy savings in U.S. dollars in excess of 15%. This equates to hundreds of dollars of savings per year for residential buildings and thousands of dollars per year for commercial and industrial buildings. No other insulating paint product can offer the proven bi-directional performance (inside or outside use) of Insuladd®. 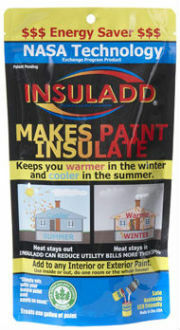 Why just paint when you can insulate as you paint with Insuladd®? Using anything less just doesn't make sense! 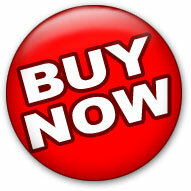 Energy saving is not only great for the environment but also for the pocket book. We're all familiar with the typical insulation you put in your attic or walls or investing in costly energy saving systems like radiant heat systems or solar panels. I recently came across a new type of insulation that takes state-of-the-art energy savings to a new level but keeps the costs much lower than any other type of energy saving material. It's called insulating ceramic paint. The ceramic paint uses a complex blend of microscopic, hollow ceramic spheres. The ceramic spheres in have a vacuum inside similar to mini-thermos bottles. Ceramic's ability to reflect heat causes these products to prevent heat loss from within the home during cold seasons and heat gain caused my solar radiation during the summers. This is the same technology NASA used for the tiles on the Space Shuttle's surface. They absorb heat while staying relatively cool to the touch. One of the examples of insulating ceramic paint is a product called Insuladd Thermal Block. It was produced by Tech Traders Inc. Several years ago, the company participated in a NASA Technology Exchange Program. After several research experiments, they discovered the value of applying micro-sphere to paint. This in turn led to the creation of various Insuladd insulating paint product lines also known as "liquid radiant barrier paints." These products have been refined through years of testing. In the summers, insulating ceramic house paint has been shown to produce up to a 40 percent reduction in heat gain on average from the heat generated by the sun on a typical home. This result can largely influence the reduction of cooling demands in the summer for homes and businesses making it less expensive to maintain a comfortable environment. During winters, much of the heat generated by a home's heating system is absorbed into walls and ceilings where it then is wasted as it migrates to the cold outside air. 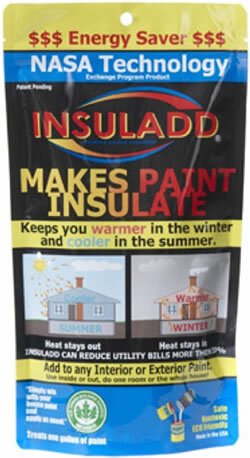 Common when using Insuladd Thermal Block insulating ceramic paint, people experience reductions in heating expenses of 20% or more as well as the reduction and elimination of moisture condensation problems. * Environmentally safe, low VOC, no hazardous pigments. Using this additive is as simple as applying traditional house paint. You first add one packet of the ceramic powder per gallon of paint. Then you simply apply it in the conventional manner with brush, roller, conventional spray or airless sprayer with an average coverage rate of 275 sq.ft. per gallon. A two coat application is recommended for optimum performance and appearance. 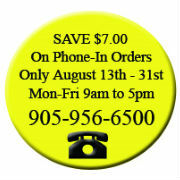 It's designed to be easily applied to a wide variety of surfaces. Due to its natural thickening, it helps smooth over minor surface imperfections. There are a lot of options to save energy. This option is probably the most economically effective option requiring very few modifications. Check into it. About The Author: Jason Murer is a journalist interested in green products and energy saving constructions. Murer has written many articles on ceramic additives and insulation paint products. I have been sceptical by the claims of saving 20% on energy or more, there are many names out there, I purchased a few brands Hytech, Nansulate and Insuladd and preformed a test in my own small shop. So my conclusion on the above test is that Only Insuladd offered any “Radiant Barrier” savings worth noting at 14.8 Degrees F less surface temperature. My Conclusion is Nansulate and Hytech offer no real savings of any kind, Insuladd offered a substantial savings so Does Insuladd work? Yes! But the others barely helped at all. Needless to say I decided to use the Insuladd product to paint my shop and my home. Add4Green is the Exclusive Canadian Distributor for INSULADD. Office hours are 9:00am to 5:00pm Eastern Standard Time - Afterhours service is provided to take your information and a sales representative will return your call the next business day. #12 - 7171 Torbram Rd.